Sunil Narine was impressive with the ball, picking up two wickets. Kolkata Knight Riders (KKR) hosted table toppers Sunrisers Hyderabad (SRH) at the Eden Gardens. KKR had one win and one loss under their belts, with the loss coming against CSK in Chennai. SRH, on the other hand, had won both their matches. Sunrisers Hyderabad skipper Kane Williamson won the toss and as per tradition, chose to field first. SRH brought in Bhuvneshwar Kumar in place of Sandeep Sharma. KKR brought in Mitchell Johnson and handed IPL debuts to Shivam Mavi and Shubman Gill. SRH bowling never allowed KKR batting to get on top in the game. Only Chris Lynn to some extent dominated the SRH bowling, but his momentum was ruined by the arrival of rain. KKR, to the surprise of many, opened with Robin Uthappa and Chris Lynn. However, the change failed as Uthappa was caught behind by Saha off Bhuvneshwar for 3. Lynn carried on to make 49 off 34 balls with 7 fours and 1 six. Rana came and scored 18 runs before Stanlake dismissed him and Narine came in at no.4, only to score 9 runs before getting out to Shakib Al Hasan. 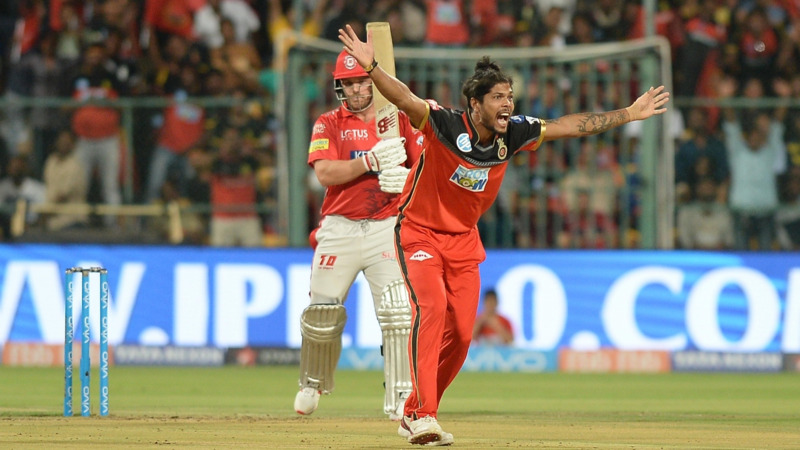 Russell too failed, scoring just 9, while Gill scored 3 on his IPL debut. Dinesh Karthik hit 29 off 27 balls with 2 fours and 1 six. KKR ended up with 138/8 on the board. Bhuvneshwar Kumar picked 3/26, while Billy Stanlake and Shakib both picked 2/21 in their four overs each. Saha and Dhawan opened the innings for SRH, but Dhawan was dismissed for 7 by Narine. Narine then removed a dangerous looking Saha for 24 in 15 balls. 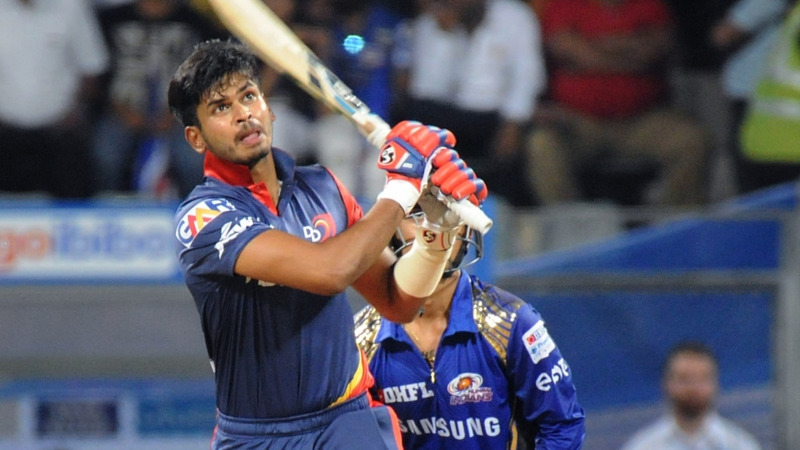 Manish Pandey was also dismissed for cheap (4) by Kuldeep Yadav. However, Kane Williamson (50 in 44 balls; 4x4s, 1x6s) and Shakib Al Hasan (27 in 21 balls) added 59 runs for the 4th wicket. Johnson dismissed Williamson as soon as he reached 50 and gave KKR a glimmer of hope. 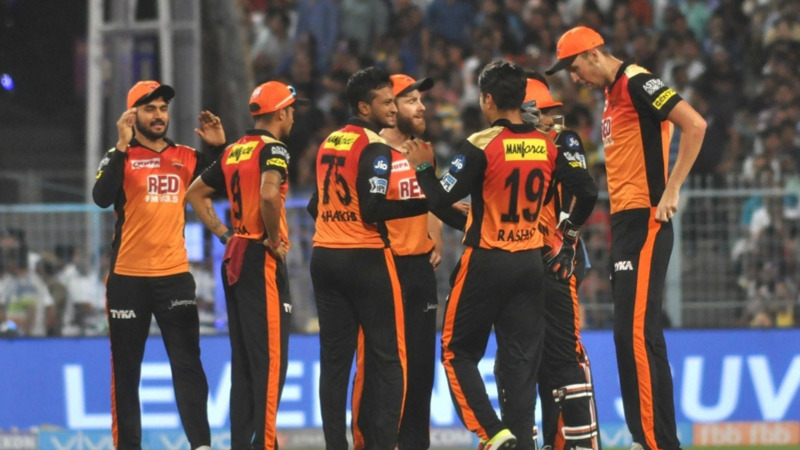 However, Yusuf Pathan and Deepak Hooda took SRH safely to the target and ensured that SRH remained unbeaten in the tournament so far. This was SRH's first win at Eden Gardens.